You need this maximum impact stunner in your life, like, now. 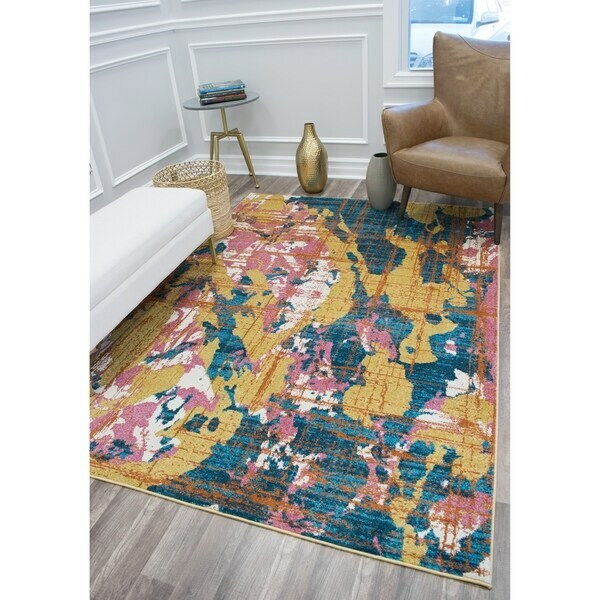 The Hayley rug from CosmoLiving 's Manhattan Collection is all about that drama - plus deep, strong colors, a totally cool all-over abstract print, and a streamlined low pile. And to bring it to full throttle, it's got a lustrous finish that shines, just like you.